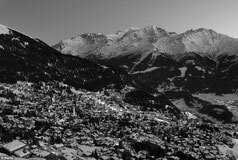 Dear Swiss mountain town, - De website van anjema! Whereas friends unwillingly remind you of who you are, your scenery is so overwhelming I get lost in your world and forget my own. Thank you for taking me along. I wish I could offer the same to you but how can one man’s little life distract you from your immenseness and raw beauty? We never keep in touch but we don’t need to, right, old friend? When we meet no words need to be spoken. We simply continue from where we left off. No apologies, no excuses. You are my ultimate escape. You tell me you feel big and clumsy around us small beings, but please know we enjoy feeling your authority over us. When I see your peaks and ridges a billion times my size I realize how insignificant I am. Thank you, boss, for putting me in perspective. ‘Cause in the end we are all insignificant, except to each other. Big friend, so long. And don’t be humbled. Enjoy your natural power as I know you won’t abuse it.